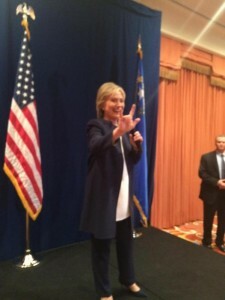 Las Vegas, Oct. 14 – Following the Democratic primary debate, Hillary Clinton greeted supporters at a watch party held at the Wynn Casino and Hotel. 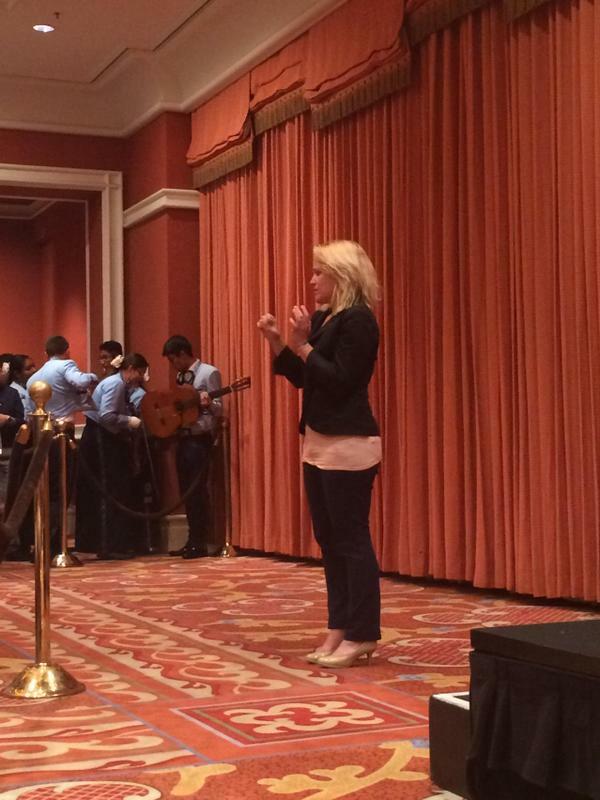 Also present – an ASL interpreter. The day before the debate, Clinton Campaign Advisor Colleen Loper attended a briefing with RespectAbility where participants discussed how to make campaign events and websites more accessible for all people. The lessons learned were put into practice. 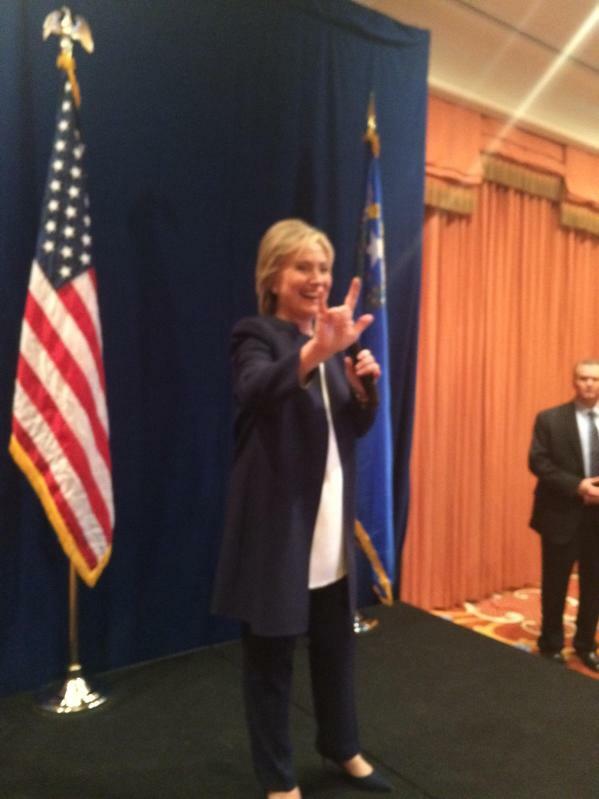 Supporters received an extra surprise when Clinton signed “I Love You” to the crowd. During the debate Clinton talked about her history of helping all people get ahead in life. “I have spent a very long time — my entire adult life — looking for ways to even the odds to help people have a chance to get ahead, and, in particular, to find the ways for each child to live up to his or her God-given potential,” Clinton said in her opening statement.